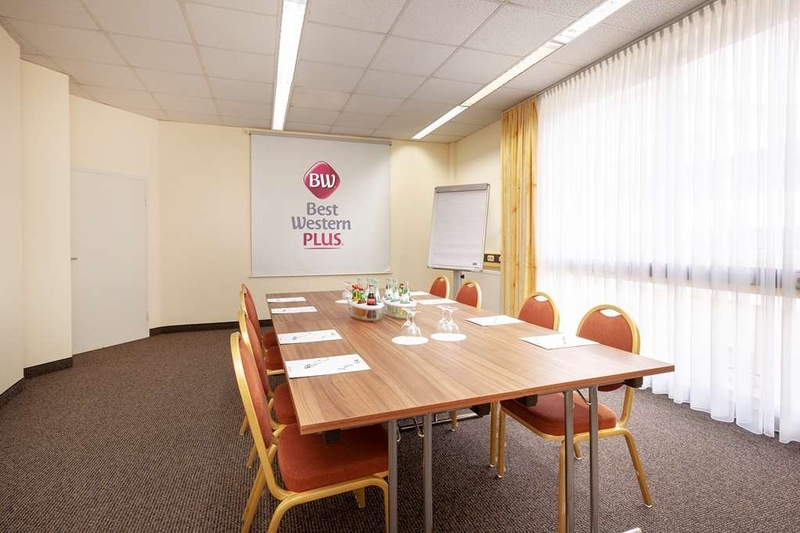 The Best Western Plus Hotel Kassel City is ideally located in the center of Kassel. Come and experience our hotel near the major tourist attractions. Best price guaranteed and exclusive deals. The documenta-town offers a wide variety of art and culture and is a home to numerous unique museums. 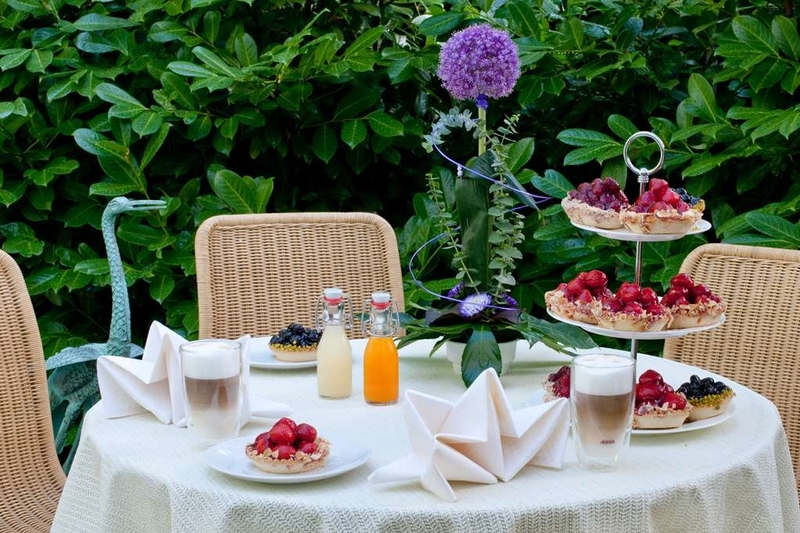 Whatever your motivation is you will enjoy our ideal location in the middle of Germany. The unique location in the Kurfursten Galerie guarantees many areas all under the same umbrella: meetings, entertainment and shopping. 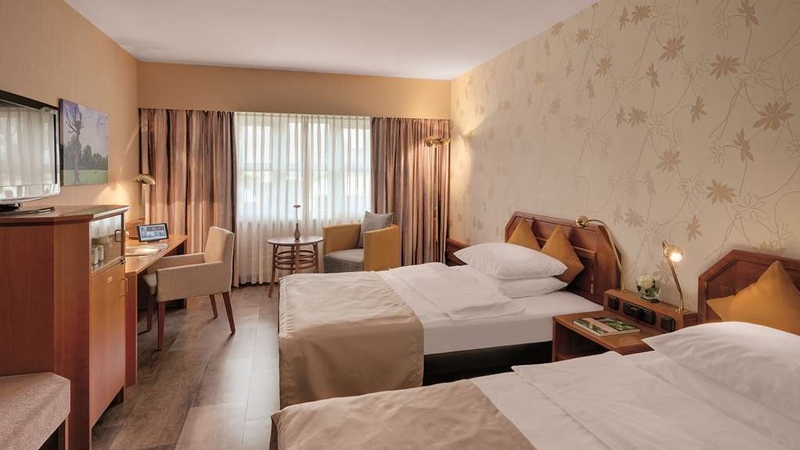 We ensure that our guests have a pleasant stay in one of our 128 rooms, including 14 Junior Suites. 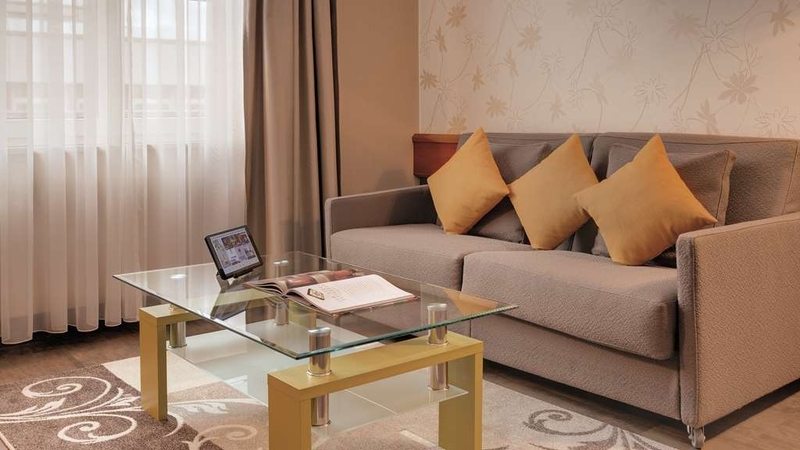 All rooms equipped with direct dial phone, public wireless LAN, in-room safe, hair dryer and TV. 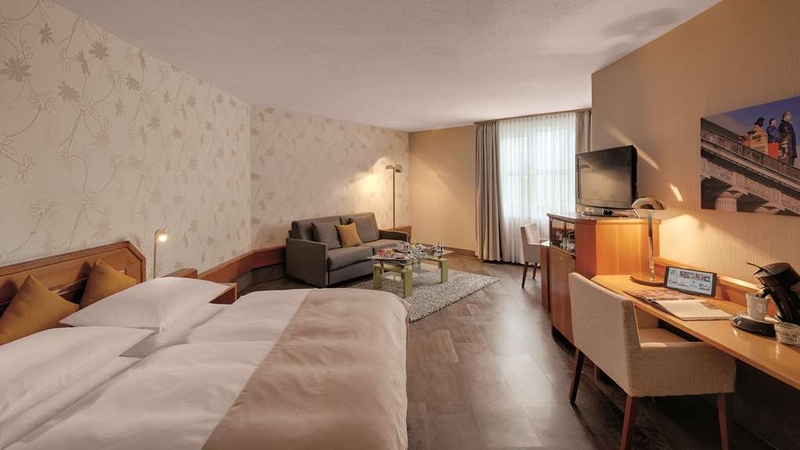 Junior Suites feature further comforts such as a trouser press and other services. 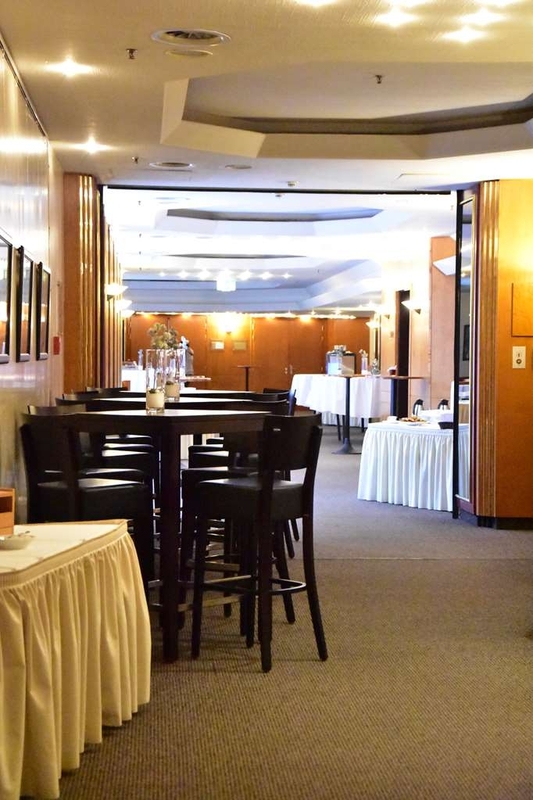 Directly in the Kurfursten gallery we will spoil you in our on-site restaurant Brasserie Le Coq with original French cuisine and genial service. 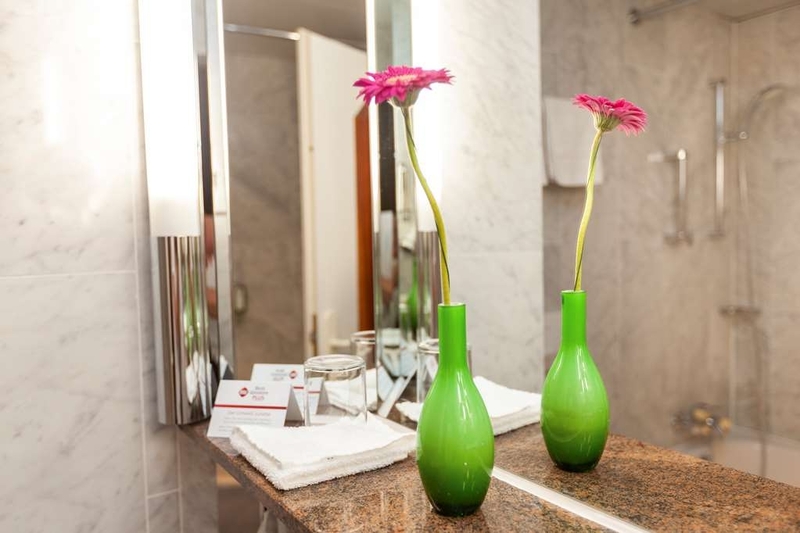 With our personal touch and attention to detail, satisfaction is guaranteed at the Best Western Plus Hotel Kassel City. Enjoy our breakfast buffet at the rate of 19. 50 EUR per person and day. 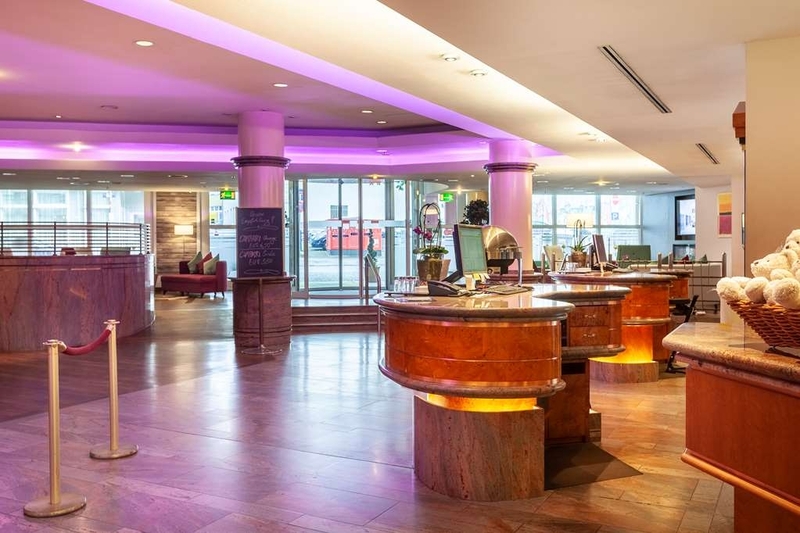 "Amazing hotel, would highly recommend!" 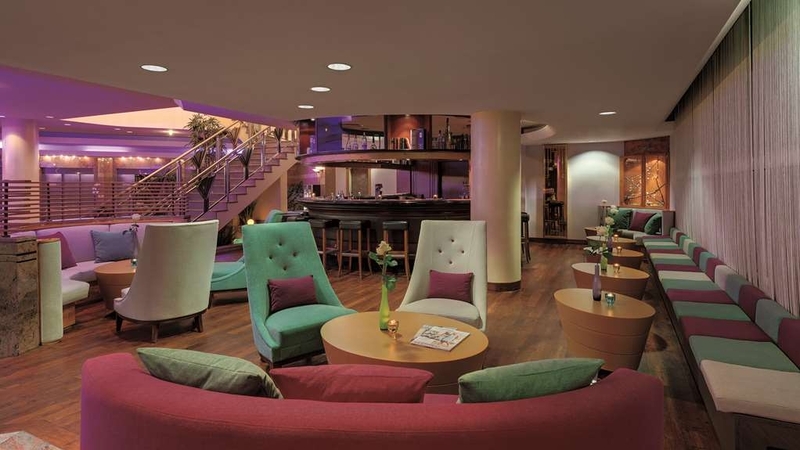 We traveled throughout Germany, staying at 7 hotels in 7 cities and this was by far our favorite hotel. The room was HUGE for a European hotel room with nice wood (laminate) floors, space between the beds, and a sitting area. The hotel staff were also extremely friendly and helpful. There was one front desk attendant who was from California who was exceptionally helpful (I am unfortunately bad with names) seeing as we are American and it was nice to have her help. The hotel is very close to the city center - it actually attaches to a shopping mall - which was great since we were visiting for the Christmas Market. The breakfast was really nice also, located in a separate restaurant. We would definitely stay here again if our travels bring us back to Kassel. "Good comfortable stay close to centre"
Stayed here for 3 nights, hotel is close to everything. Staff is very friendly and helpful. You can walk out in morning and have a coffee from one of local shops and all restaurants very close to the hotel as well. I will definitely stay there again on my next trip. "OK hotel in very good location"
Nice hotel in a very central location. Mine was only a fleeting overnight stay so didn't experience much of the hotel. Breakfast was around 20 Euros so skipped that as that is an exterminate amount for breakfast. I had a single room, which was small but functional. The bathroom was very dated and could do with a revamp. Could do with more people on reception as check-in took longer than I'd expect but was Ok otherwise. One big benefit of the hotel is the public car park directly underneath it, and you can pay for the parking at reception and get the ticket to let you out, which simplifies things a bit. "Good / acceptable hotel, no Airconditioning"
During a journey in Germany we stayed in this hotel while the outside temperature was around 30° C / 86° F. The Ventilation in the room was poor (Room 235), luckily the windows could open. The room was clean and large (which we liked) while the prices we very acceptable. We stayed there with our two Dachshunds and they were welcomed. The people in this hotel in general are very, very friendly and helpful. I recommend this hotel for stay when the temperature is somewhat more normal. Thank you for your review and the positive comments to our hotel. Unfortunately our house does´t have air conditioning and the outdoor temperatures are extremely high in Germany this year. We spent a night at the hotel on our way to France. The hotel was an average hotel which had all the facilities needed for an over-night stay. The hotel had the most expensive breakfast compared to the others hotel we visited on our trip. Thank you for your review and the positive comments to our hotel. Our hotel has the best breakfast in town and a very large selection. Arrived late in the evening, the straff is welcoming, the room is ok but not the AC it was like sleeping in a Finnish sauna. Hot to say the least. Missed that the hotel was in a shopping mall and that the restaurant was closed for the evening. Car park is under the hotel (the shopping malls own parking so don't leave any valuable behind). Breakfast is very good. Thank you for your review and the positive comments to our hotel. Unfortunately we have no air conditioning and do not apply. That our house is integrated into a shopping arcade, on each of our Internet pages is also that our restaurant is closed in the evening. There is, however, the possibility to have dinner in our bar. "Large rooms but old decor and poor air conditioning"
Got here a little late in the evening. We were greeted quickly, only to discover that the entrance to the parking garage is before the entrance to the hotel. We drove around the block and went into the garage. After going through three doors, we finally found an elevator to the lobby. Check in was easy. The room was larger than others we'd had on this European vacation. However, the decor was stuck in the 1980's. It was a mildly warm evening, but the A/C was just barely making a breeze (and not a very cold one). We had to open the windows and leave the drapes open in order to get any air in the room. Breakfast is at a restaurant that is actually in the attached mall. The servers had limited English, but were very kind and helpful. The selection was decent and tasty. Thank you for your feedback and the positive comments to our house which 2016 has been renovated and 1996 opened. We were so unsure as where to stay, we were lucky we found this hotel, the location was beyond perfect for most things in Kassel..There is a small mall attached where you can pick up things you may have forgotten.Breakfast was lovely, everything was fresh and presented well, in lively surroundings..we found the hotel to be immaculate, the rooms were large, especially by European standards..The staff was great, and friendly..I truly think this is the perfect hotel for this town...I feel the GM, is really doing a great job. Thank you very much for the great review. 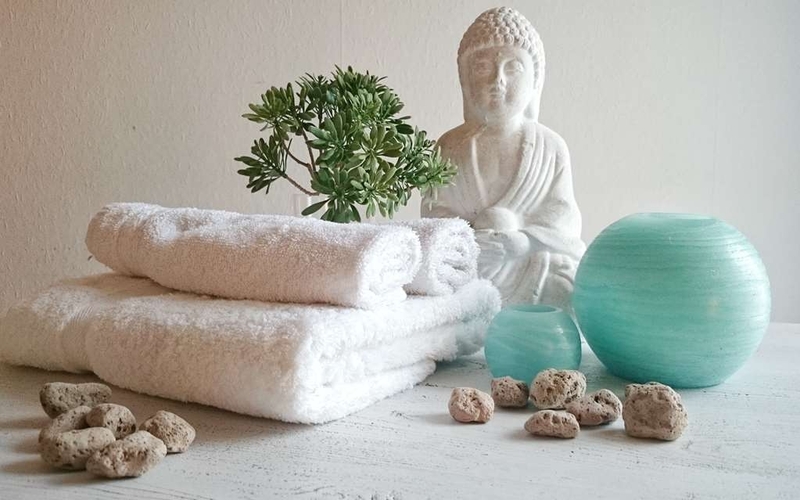 We are so pleased that you have felt comfortable with us. Especially your comments on our breakfast and our service staff really pleased us very much. Thank you very much! "Great Location, but average accommodations"
Our group stayed here in July of 2018. The location is awesome. It was one block from the City Center. The City Center has great restaurants and a Starbucks. The location was perfect for running. I was able to easily run through the city and to Staatspark Karlsaue. The Park was flat and was awesome. The hotel claimed they had air conditioning, but they didn't or it didn't work. The rooms and lobby were in need of an upgrade. The 1970s style wasn't even retro, it was just old. Thank you for your comments. We wonder if you have stayed in our house because your comments about our rooms and the lobby are untrue. Our rooms as well as the lobby were completely renovated in January 2017 and equipped with new furniture. With our photos in all publications, the Mittleser is happy to convince you that our house is neither retro nor old. Our house was built 1995 and now has nothing to do with the 70s. "Excellent location for Documenta, comfortable room"
I really liked my stay at this Best Western, although the room was expensive relative to others I stayed at on this trip. I did upgrade and that price was reasonable. A friend was meeting me with her young son and they brought a crib, but honestly the toddler didn't use it, but it was nice to have. Breakfast, which is in a shopping mall, outside the hotel, was a bit odd but okay. The offerings were fine, although not outstanding. Elevators worked well and I liked the layout, with the central lobby on the floor. 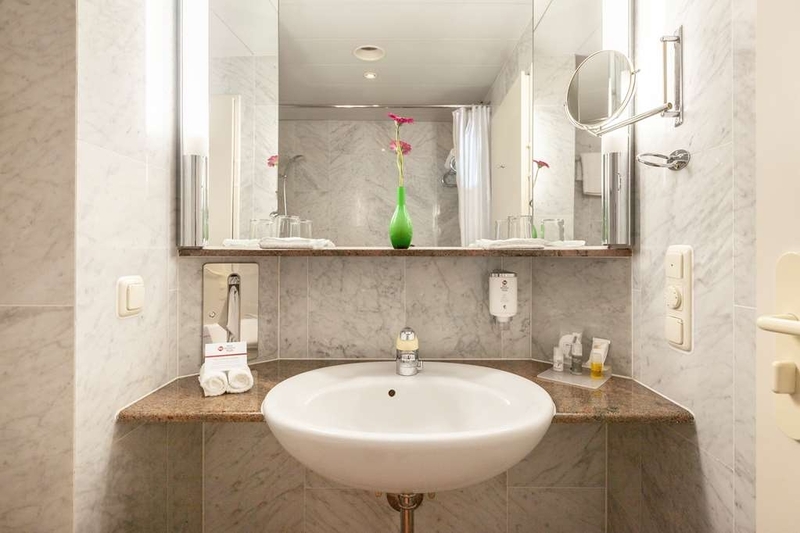 Like many environmentally conscious European hotels now, liquid soap is provided for body wash and shampoo. It was fine. Even the bar in the hotel lobby was welcome at the end of a long day. If you arrive on the train, be prepared for a solid 15 minute taxi ride to the hotel, that will cost 10+ euros. The staff was helpful. Wifi excellent. we thank you very much for the great evaluation and are glad that you felt comfortable with us. 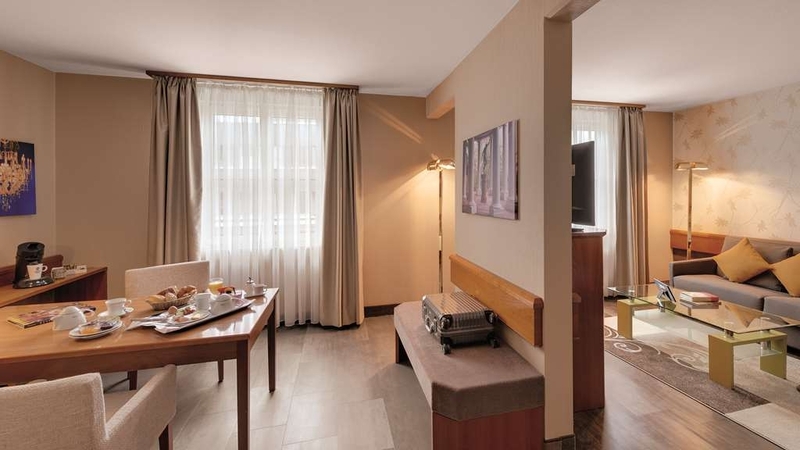 Our staff always strive to provide our guests with a pleasant and positive stay in the hotel and in the city. 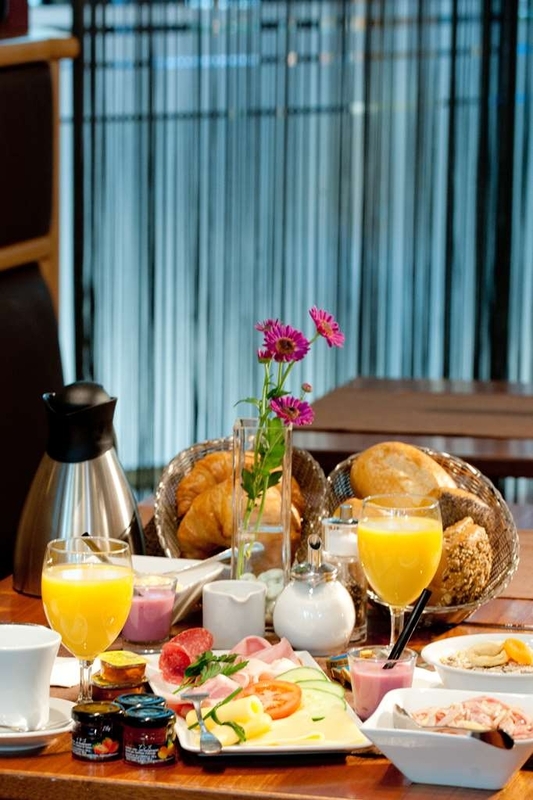 Thank you also on behalf of all the staff for the positive comments all about our Gourmet-Breakfast Buffet. "Great location for central Kassel and documenta"
We stayed for 2 nights during documenta14. The location was excellent, close to the main part of Kassel. There is parking underneath the hotel which is shared with the shopping centre next door, but is useful if you have a car and want to explore the area around Kassel. Hotel guests get cheap access to the gym next door, which is actually a fantastic gym and caters to all kinds of workouts. The room was spacious and clean, if a little older, but as with a lot of hotels in Europe the aircon was not ideal during the hot days. Would recommend for anyone looking for a good centrally located hotel. 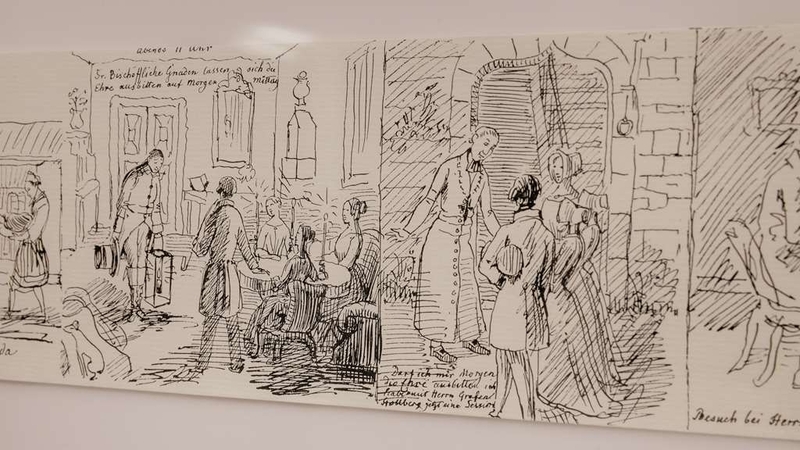 We were a little dubious upon arriving at the hotel as we came in from the wrong side and the exterior didn't look as we expected, however, as soon as we stepped inside we were very pleasantly surprised. The lobby is gorgeous and the staff were lovely. My husband had accidentally booked a queen bed instead of a king size and although we arrived late the concierge warned us of this and changed our room immediately for us. The room was absolutely gorgeous, with everything you could need and more, including an ipad. The bed was wonderfully comfortable and we had a great nights sleep. The rooms are full of wood and plush fabrics - quite art deco but with a modern twist. There is lots of space and everything was very clean. Breakfast is served in a restaurant in the connected shopping centre (you exit a side door of the hotel and walk for less than a minute through the shopping centre so don't have to go outside) There is a fantastic selection of hot and cold items available for breakfast and the staff are all very friendly and attentive. The location is great, very close to lots of restaurants and shops and perfect for exploring Documenta. "Good comfort, if highway style, close to Documenta"
Best location for Documenta. Good service from large dual elevators. Liquid soap dispensers only, in bathrooms. (Luckily I travel with a bar of soap.) Very clean but highway-syle in-town. Single rooms were plenty spacious but only one of each towel. Church bells at 7:00 AM, courtyard/roof exposure room otherwise quiet. Very good outsourced breakfast restaurant 100 feet away in abutting shopping mall. NOT highway style, but rather: Huge buffet, custom omelettes, very nice buffet variety, including pork tartare! Special effort towards fine breakfast tea service, and indeed I had a nice chat with a British guest, on a Documenta 14 art-tour group (as was I.) Automated espresso or poured caffe lattes. Self-service green smoothie machine. Superbly English-speaking restaurant staff. Apparently ZERO bellmen, no problem for me. 5 Euro tickets sold for huge, independent fitness center also in the (connected) mall. 20 treadmills, 20 ellipticals, private women's workout alcove, 3 dozen weight stations but no towels. Group tour for me so no pricing comments. We got free WiFi, probably all guests do. Lack of bellmen no problem for me but older guests might regret rooms distant from the elevator. 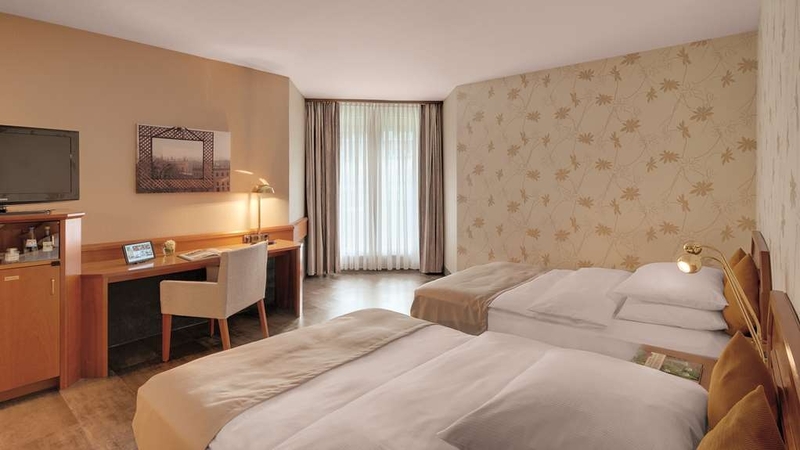 "Very very pleasant hotel for a visit to Kassel (and Documenta) with a big plus." 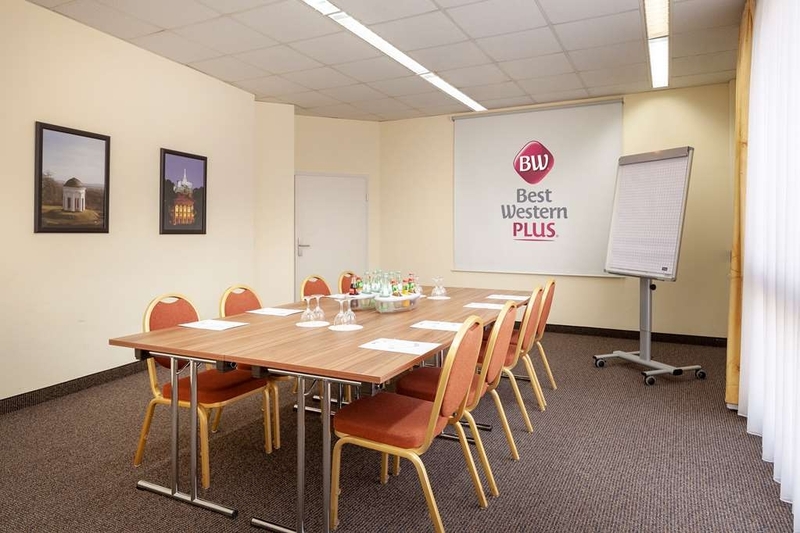 The Best Western Plus Hotel Kassel City is in the center of Kassel, nearby Königsplatz (5 min walk), and that is in the middle of the main shopping area, and also nearby museums. 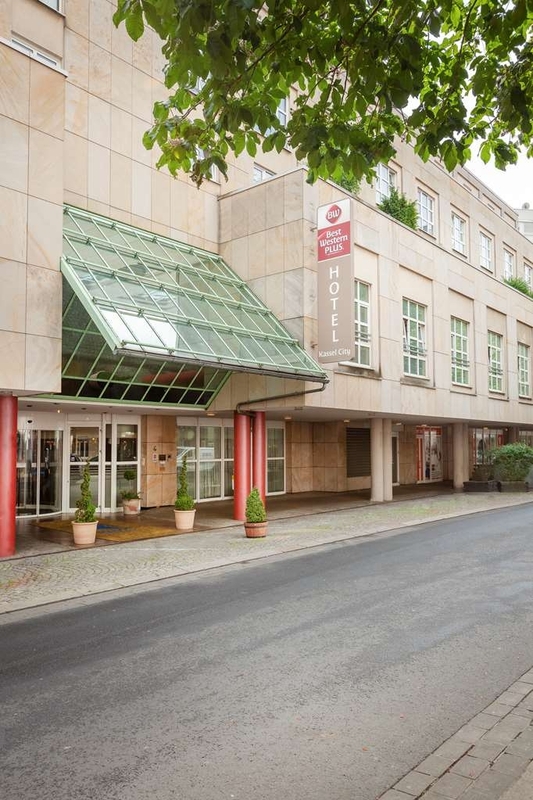 The hotel is also nearby the train station (Haubtbahnhof) 10 min. If you arrive at Kassel Wilhelmshöhe train station. take a tram to Königsplatz. You can buy tram tickets inside the tram at a ticket machine. The room is nice and with all the facilities you wish, and some bonus extras like a heat water cooker for tea or coffee and a computer tablet with hotel and city information. The breakfast is very complete and serves a variety of hot (special prepared for you) and cold items. 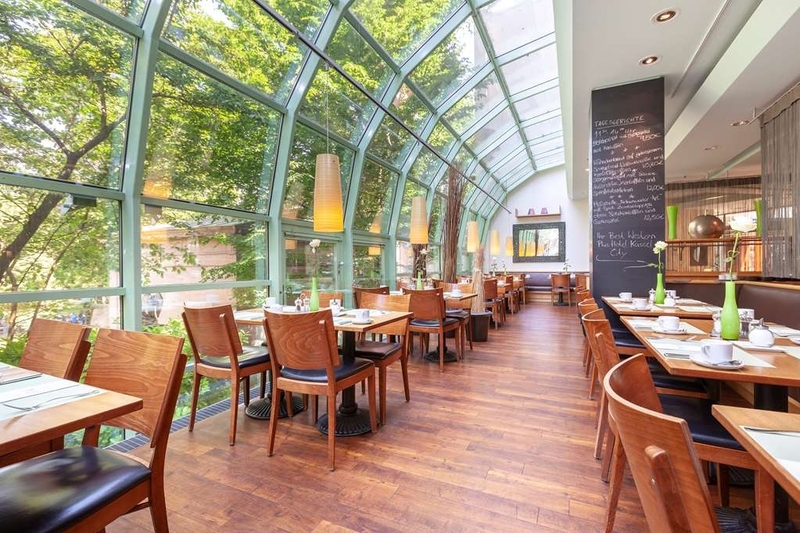 The breakfast is served outside the hotel, but at a restaurant inside the Kurfürsten Galerie, a shopping center. At first you might think that this is strange (as I did), but this was not a point, because you can walk to the restaurant ( 1 min.) trough the shopping center, and you don't have to go outside. So there is no difference to this situation and the situation where the breakfast room is inside the hotel. As a bonus the breakfast is very complete and serves a variety of hot (special prepared for you) and cold items. And the staff at breakfast and in the hotel is friendly and helpful, not only at breakfast, but the hole day long. I stayed at the hotel for visiting the Documenta 14, and found myself at a walking distance of all the Documenta 14 venues and performances. 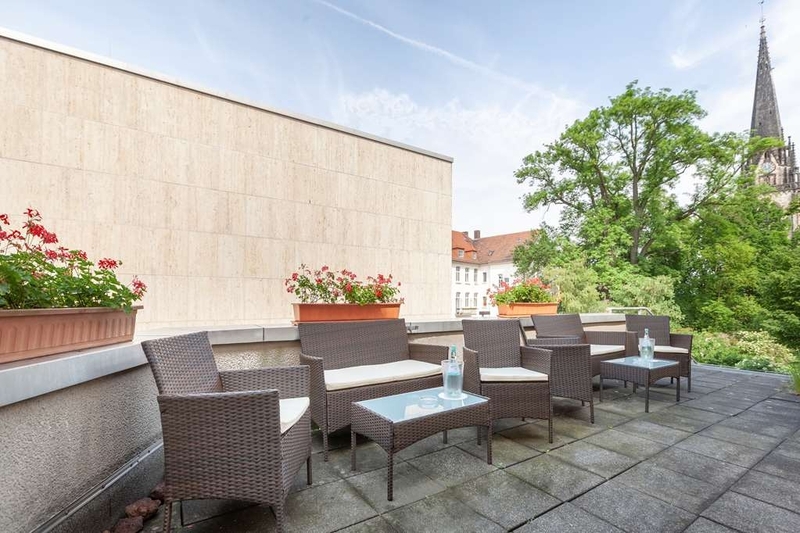 Was going to Documenta (largest modern art festival in the world) and chose this hotel for it location, and the experience was very good. 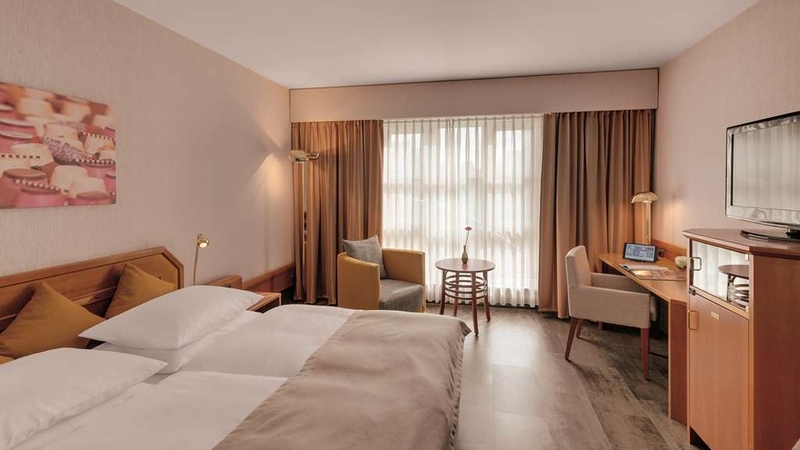 The hotel rooms look as though they have recently been remodeled in a 1950s motif with lots of wood trim and accessories, natural uncarpeted floors, lots of space to store things, large mirrors, and both large rooms and bathroom. 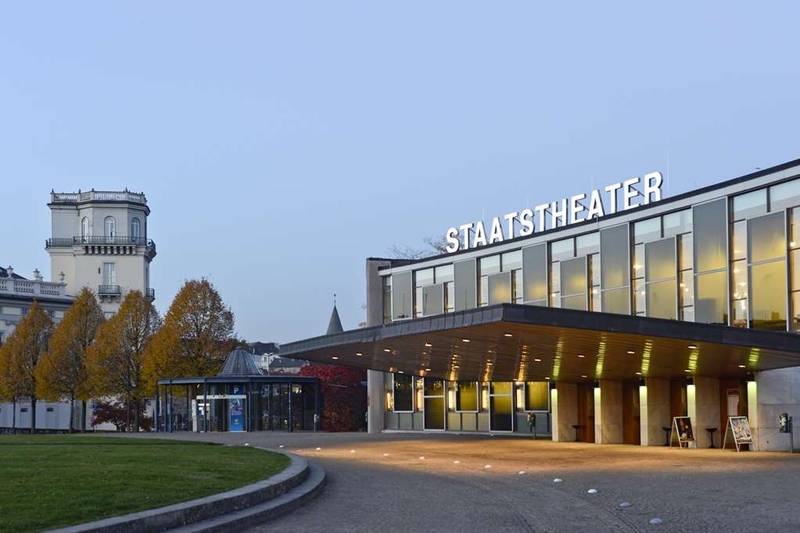 "Good location for visiting Documenta"
The location is extraordinary for Documenta visitors as most exhibition venues are within a walking distance. The rooms could use a little updating, but are comfortable and clean. 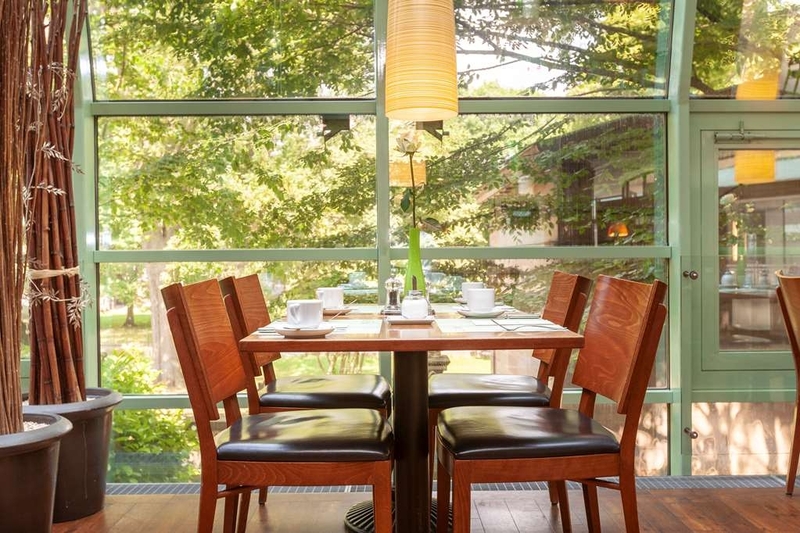 Amazing breakfast buffet; it is in the shopping mall inside which the hotel is located, a 3 minute walk from the hotel lobby. we thank you very much for the great evaluation and are glad that you felt comfortable with us. 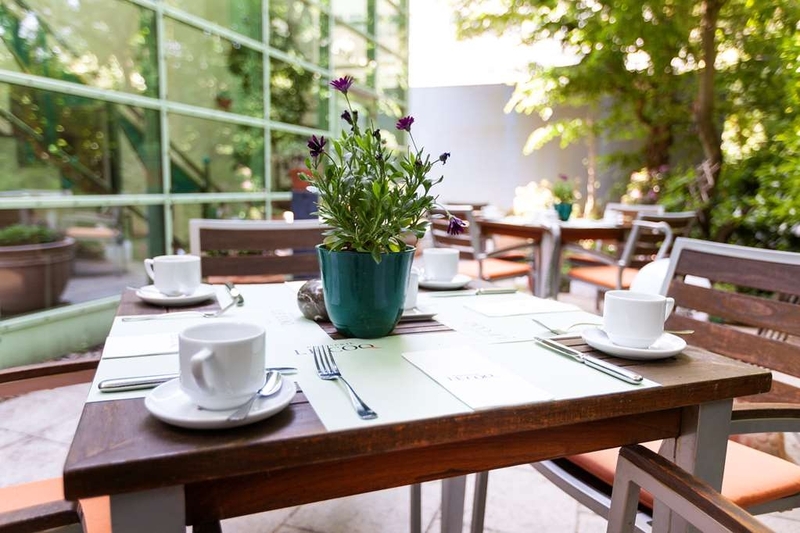 Our staff always strive to provide our guests with a pleasant and positive stay in the hotel and in the city. Thank you also on behalf of all the staff for the positive comments. "Very good hotel, an excellent site"
Cosy place, nice staff, spacious room for a single tourist, and excellent breakfast!! 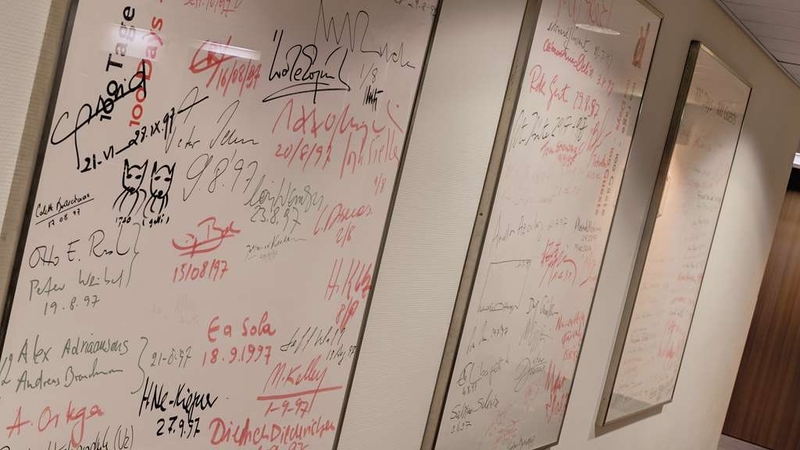 If the room decoration were not so 80's, I would have given five stars. Anyway, this hotel made my Documenta days. 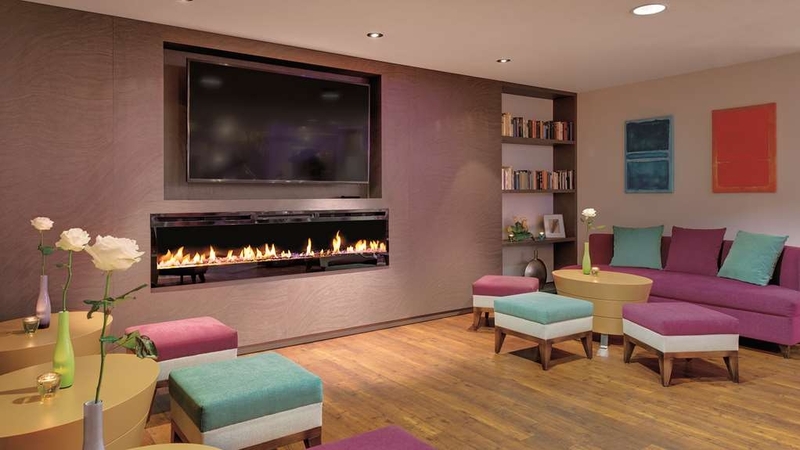 This centrally located hotel is a perfect testament to nineteen-eighties German design. 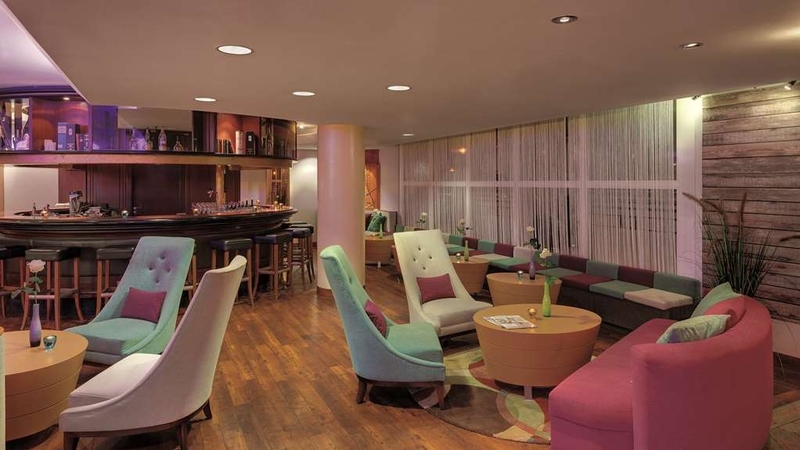 Essentials are all there: helpful staff, beautiful and vast breakfast buffets and a well-stocked hotel bar. Everything of interest in central Kassel seems in walking distance, with reasonable dining options and all major cultural close by. 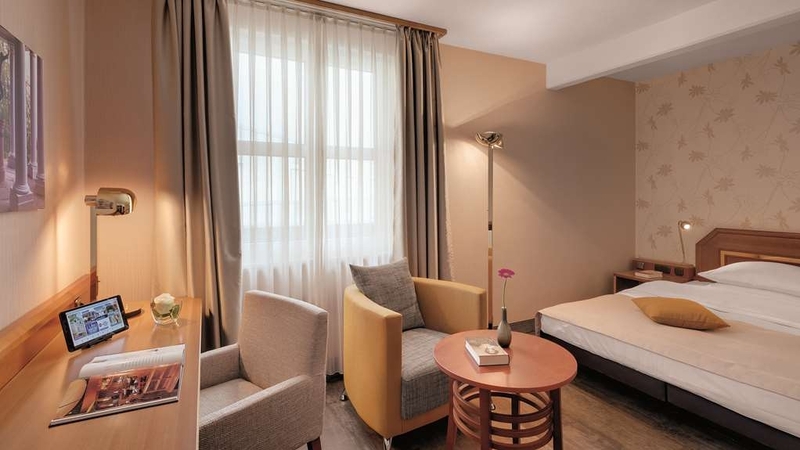 "Surprisingly great hotel in the city centre / perfect for Documenta"
I enjoyed my stay at the Best Western Plus Hotel in Kassel. The staff were helpful and responsive. 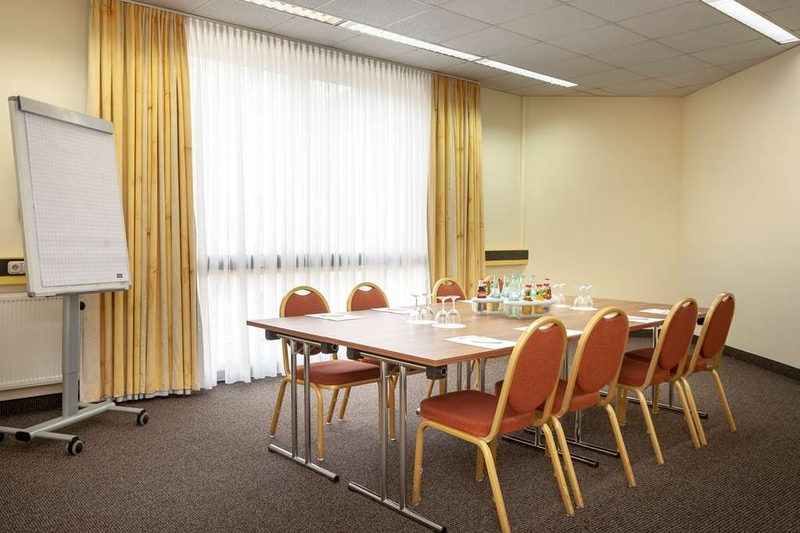 The room was clean, comfortable and fully appointed. The area was quiet but well connected to the city centre (couple of minutes away) and to the Documenta galleries and sites. I was a bit confused by the location of their breakfast room (in a restaurant in the attached shopping mall) but their strategy was brilliant. With this simple arrangement they provided an excellent buffet breakfast for hotel guests. The food was outstanding and plentiful. 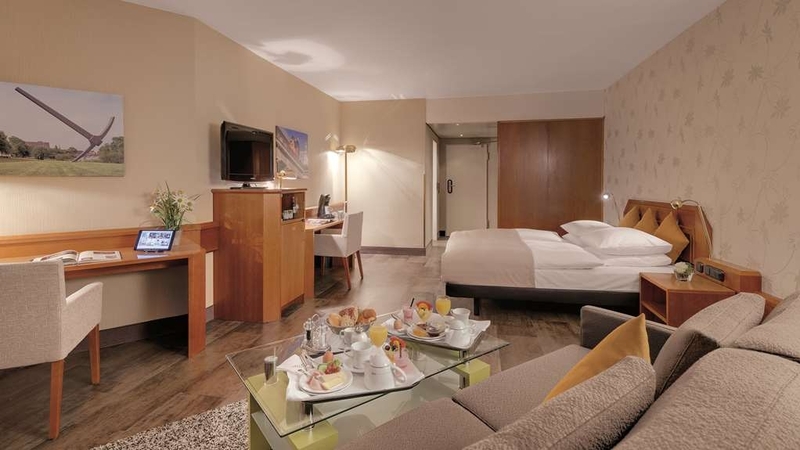 I enjoyed my stay at the Best Western Plus in Kassel and would definitely recommend it to visitors. This hotel is located as part of shopping centre. 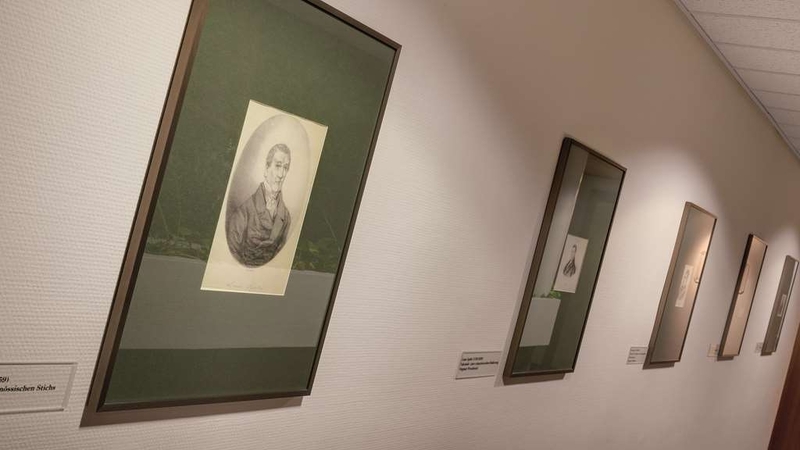 It is conveniently located especially for visiting Documenta. The staff are friendly, the rooms are dated but clean and the breakfast in the restaurant just outside hotel is excellent. The main down side of this hotel is the lack of air conditioning. Even though there are controls in each room and signs saying that it only works with the windows closed there is no effective system. The temperatures in our room during a recent stay were unacceptable and made sleeping almost impossible. The staff admit there is no system despite what is stated on the hotel website. If requested they will open the windows and provide fans but this made little real difference apart from making room noisier due to city centre location. It is an absolute puzzles why our house is so poorly rated by you because of an air conditioning that does not work in your eyes. We had outside temperatures of more than 30 degrees. It is summer and warm everywhere. In addition, our house has been completely renovated in January 2017, which the reader will be happy to convince by hand of our photos. 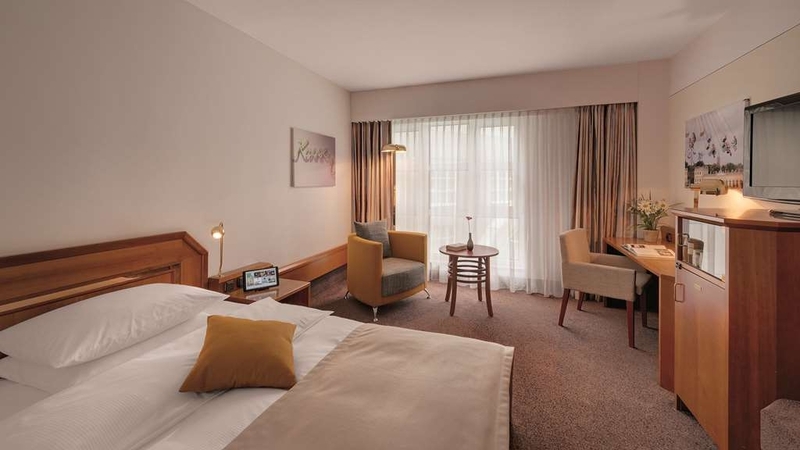 "Best hotel in Kassel yet"
I travel to Kassel for business and usually stay 1-2 weeks at a time. 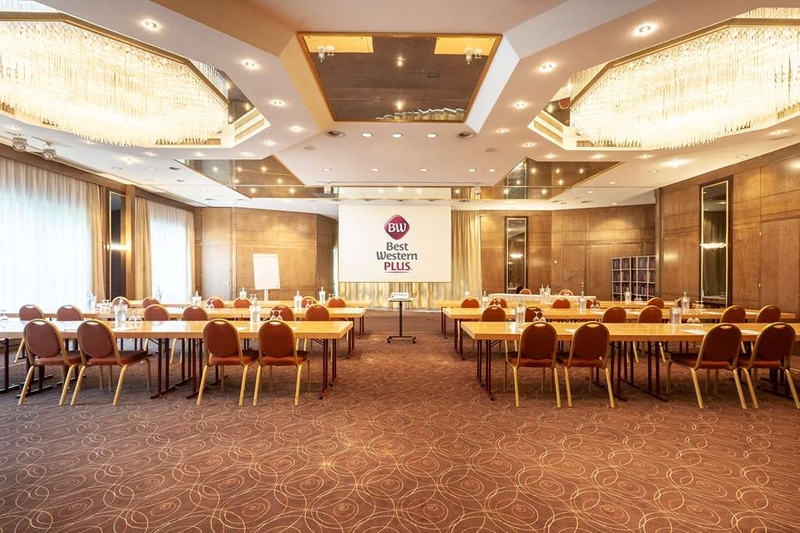 Pros: Friendly staff, clean and comfortable rooms, A/C, 2 blocks from city center, many restaurants nearby, attached to a mall with even more food selections, shopping, and gym complex for working out. Cons: Hotel advertises having air conditioning, but I will warn westerners that this A/C is not the same as what you are probably used to back home. I kept the settings on high fan and as cold as can be, but it still doesn't blow cold air. It basically makes sure that your room doesn't get above say 75 degrees F (this is a guess). I did keep a fan in my room and that it made everything tolerable. 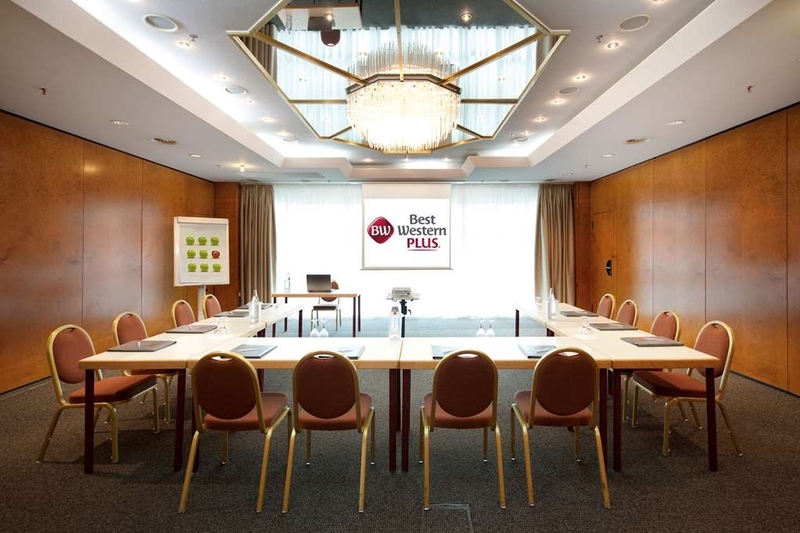 Summary: Best Western Plus! is a very nice hotel. 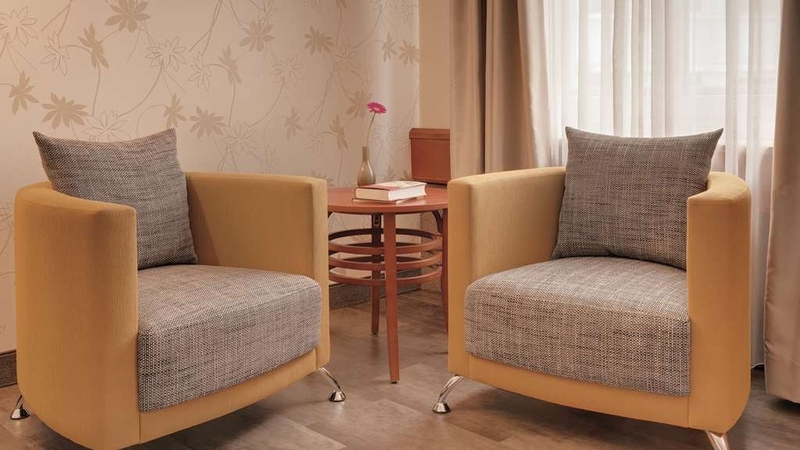 Friendly, accommodating staff with very clean and comfortable rooms. 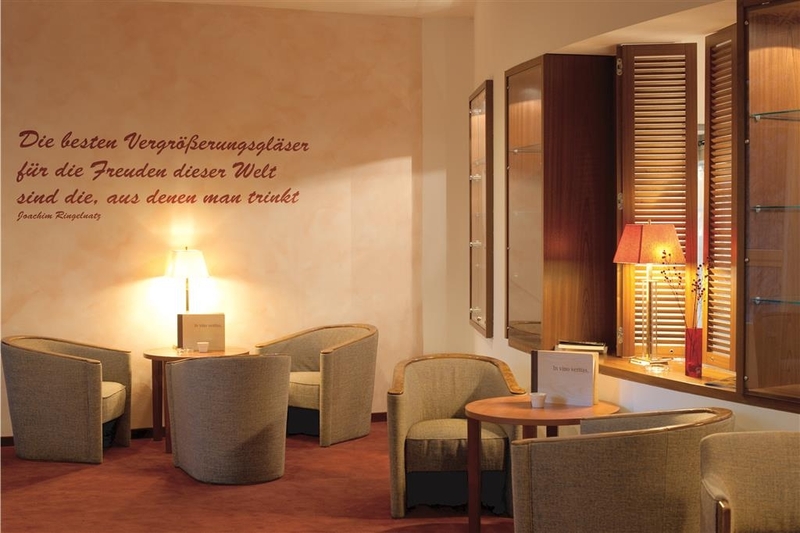 I recommend this hotel for a short or long stay in Kassel! Well located, excellent Buffet breakfast/efficient, friendly staff, very clean premises (albeit in a Centre City Mall environment, which however is hardly noticed), excellent value for money. 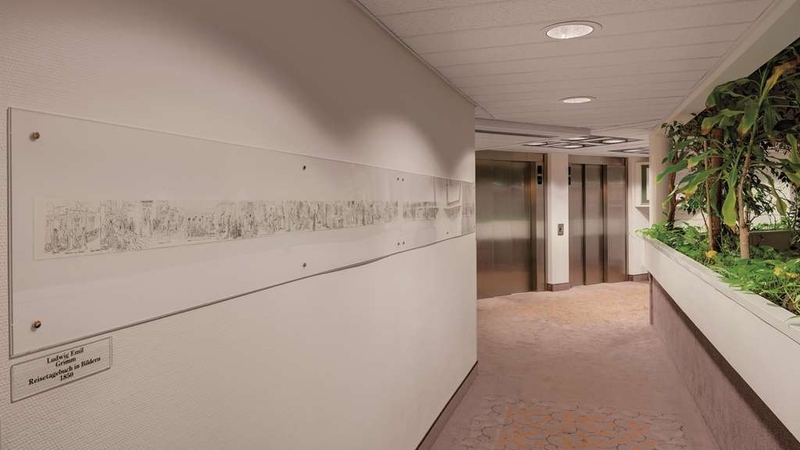 Good access to City trams, pleasant bar area in lobby, very quiet rooms, no street noise. Room was pretty small and restroom is very small and had some bad smell. Light bulb of the lamp was gone but staff was not very helpful to change that. They don't understand my explanation in English and I had to go down to front desk with bulb. Clerk said technician is not working on Sunday and I had to wait until the next day, I ask again to check their boxes and she could find one. In the morning, I went the restaurant and saw that the cook was coughing on the salmon that he was preparing to serve. The other cook was also coughing without any covering while he was checking the food on the buffet table. After I saw there I checked out. Only good thing is location. Dear Guest, Thank you for your review. We are very sorry that our reception staff were unable to exchange a light bulb for you. We will discuss this immediately in the team. The reproach our cooks cough communally on the existing breakfast dishes we reject with determination. Our breakfast chefs have been busy for years in our house and have never had such a complaint. The staff are friendly and competent. The rooms are almost perfectly adequate. Except: There is no air conditioning. (There is a thing on the wall that claims it controls air conditioning but the desk assured us there was none.) The windows are locked shut; we only discovered after a sweaty night that we had to sign a waiver to get someone to come unlock them. And the next night there was --and I am not making this up --an incredibly noisy party across the street until daylight --about 530. So you had a choice --close the windows and sweat or keep them open and be unable to sleep. Think we'll stay in western Kassel next time. Dear Guest, Thank you for your review. We are, of course, sorry that we were unable to meet your requirements for air conditioning. The windows may only be tilted for safety reasons. We had outside temperatures of over 30 degrees since it is now very warm everywhere. 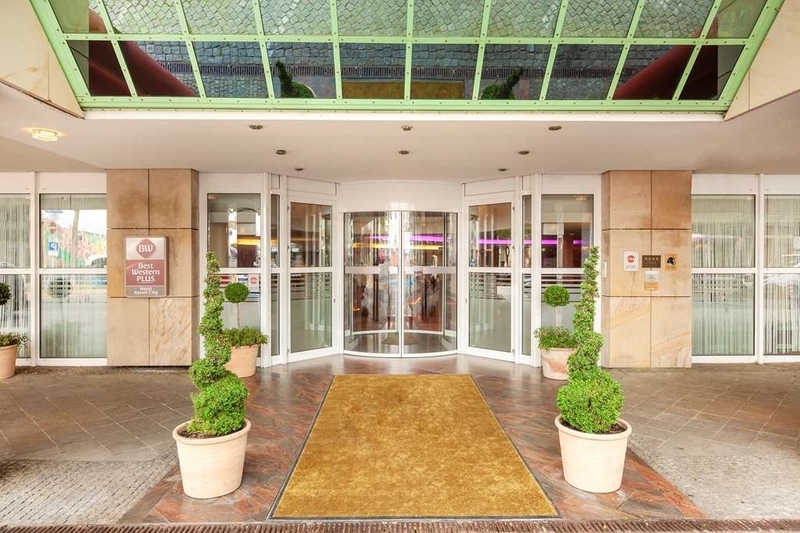 If you're arriving by car, enter the garage at the corner of the one-way street and drive to the Best Western Plus Hotel Kassel City entrance. The hotel is very nice, breakfast was good. We were told that the kiosk in the nearby Konigsplatz had the NYTimes, but its operator directed us to the large bookshop on a nearby street, where we were able to buy one. I stayed recently in this hotel and the weather was nice and very hot. The A/C was not working and the helpful staff showed me 5 other rooms before I could find one where the temperature was low enough to sleep. This problem is known. On the other side, large and clean rooms. Parking accessible from Inside hotel and good breakfast. Dear Guest, Thank you for your review. At outside temperatures of more than 30 degrees our air conditioner can cool down to a maximum of 10 degrees. This is standard in Germany!!! "Friendly staff + convenient location"
All counter staff are very friendly and helpful. Language is not an issue as they can speak good English. They offer free apple and welcome drinks at the counter. This hotel has been renovated recently and is clean with air-cond. It takes 2 mins to walk to city centre. Perfect locations. Walking distance to reach good food and shopping mall. A clean, very comfortable room. In the morning a very good breakfast served in the restaurant which is strangely not directly attached to the hotel (access through the shopping mall). 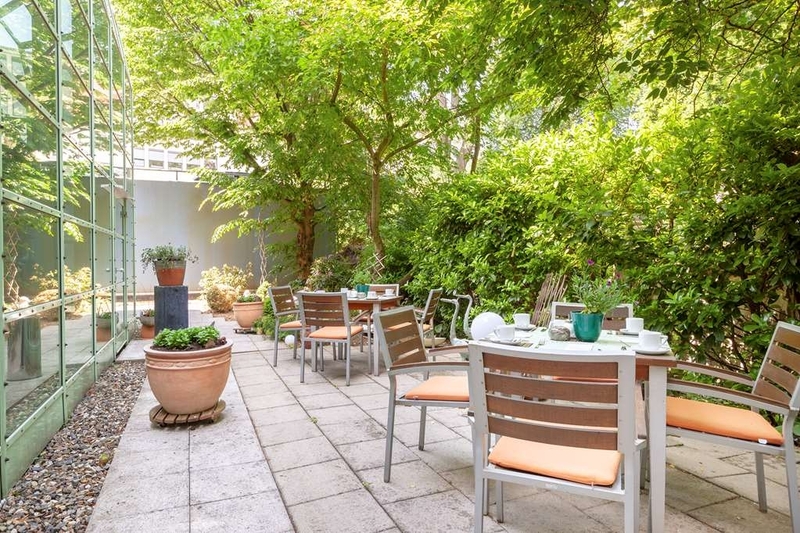 Well positioned close to the city centre. Typically city hotel with garage under the hotel but easy to find and easy to access from the garage, was there for a conference so only Lunch and Coffee but felt nice and i could defiantly stay here. 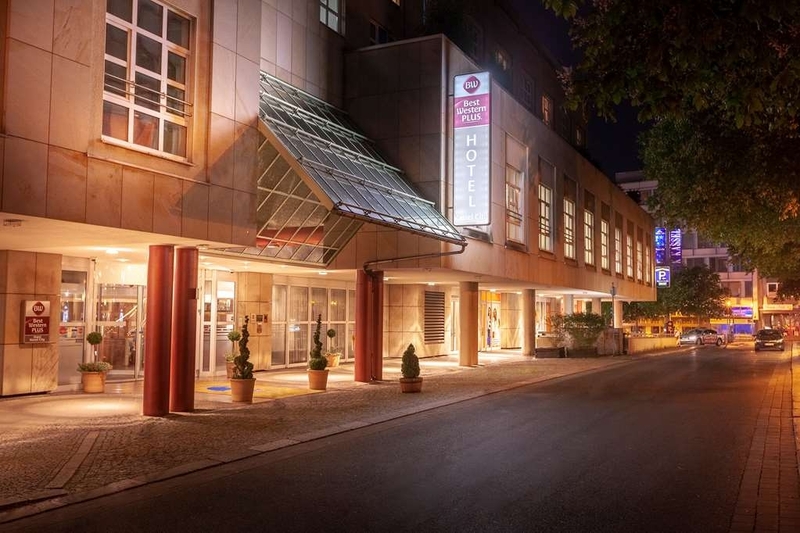 "nice hotel in excellent location"
The location of this hotel is extremely good, right in the centre just a few meters from the pedestrian zone with lots of shops and bars. Parking for a fee but right in the same building as the hotel, which was very convenient. The rooms are correct (we had one of the bigger "comfort rooms"), clean, with nice bathrooms and a big tv. The way the internet works is peculiar, you get vouchers for 500 mb, valid 24 hours, but it worked okay. There seems to be an issue with the air conditioning in the hotel, we were told on the spot it is just an "air cooling", but not an air conditioning system (which i think the hotel should make clear on various websites) - we switched rooms as in one room it was unbearably hot and we did not manage to cool it, but the replacement we were given was fine. Would recommend overall. 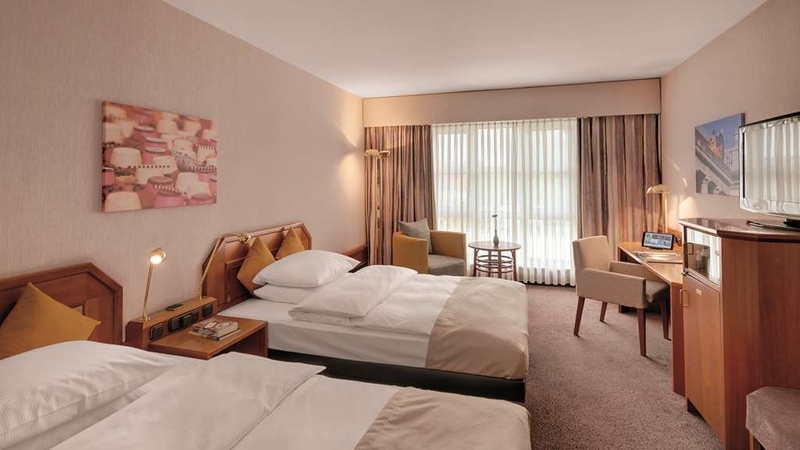 "quiet City-Hotel within a mall"
This conference hotel is located in the heart of Kassel, where the pedestrian zone is nearby and within a small shopping-mall, where also the restaurant for breakfast and dinner is located. Hugh fitness studio including sauna in the same building, which can be used daily on a small fee. "very good location for shopping"
stayed again here, good central location for shopping in walking distance, old fashioned but clean rooms, very good service very good breakfast buffet and service, expensive parking due to parking garage costs, but in total worth to come again. I've been here for a long business trip for 5 weeks. The rooms are quite comfortable but a little dated. The good thing is the central location and the proximity to the public 24h gym. Also the breakfast is of very good quality. Overall I'd liked my stay here and the good stuff added to it. "Ok, but would not book here in the future." Check in was smooth and lobby area quite nice. We headed up to our first room. Upon entry the mouldy smell and the very dirty carpeting caused us to trek back down to the front desk to request a new room. The staff did their job, but seemed curt. The second room we got was better, did not smell of mould, but still smelled stale. Breakfast was good and had great selection. Too bad that there is no rating for "good". This hotel I would consider better than average, but also not very good. 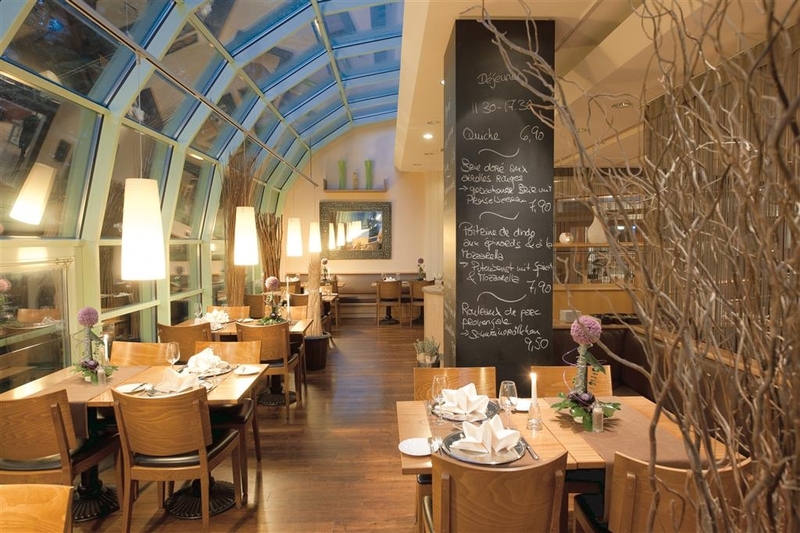 It is located in the Kassel city centre, about 15 walking minutes from the main station and is attached to a mall. 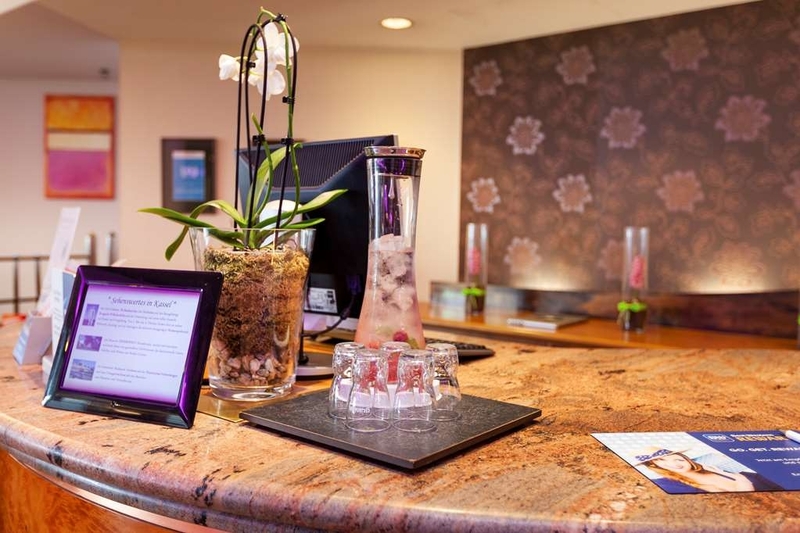 The front desk staff was nice and the room had a good size and was clean. Looking at the hallways and the lobby the hotel leaves a good impression. The breakfast is included and is served in a restaurant inside the mall. Excellent selection of warm and cold food. Parking is not included. There is covered parking available, but I found the fee of 30 Euro a little too much looking at comparable hotels in other cities. Overall it is a good average hotel. Dear guest, thank you very much for the good review and we are pleased that you have felt comfortable with us. 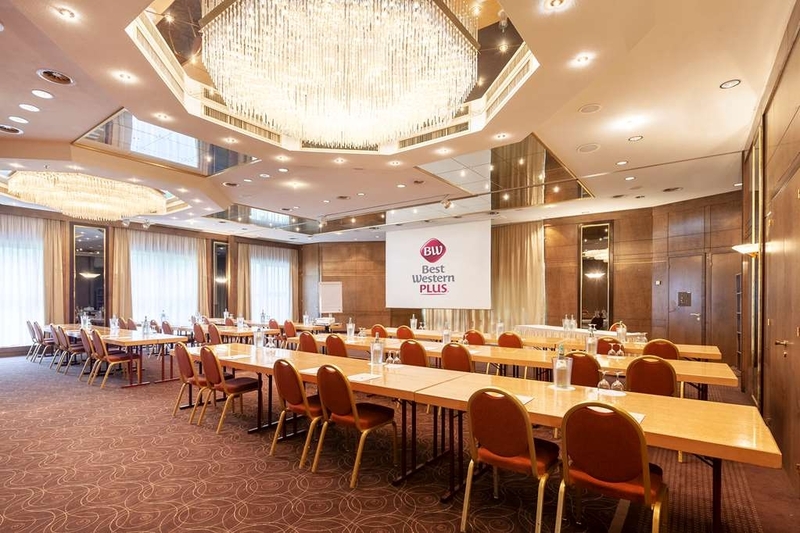 Our employees are constantly striving to provide a pleasant and positive stay at the hotel and in the city of our guests. 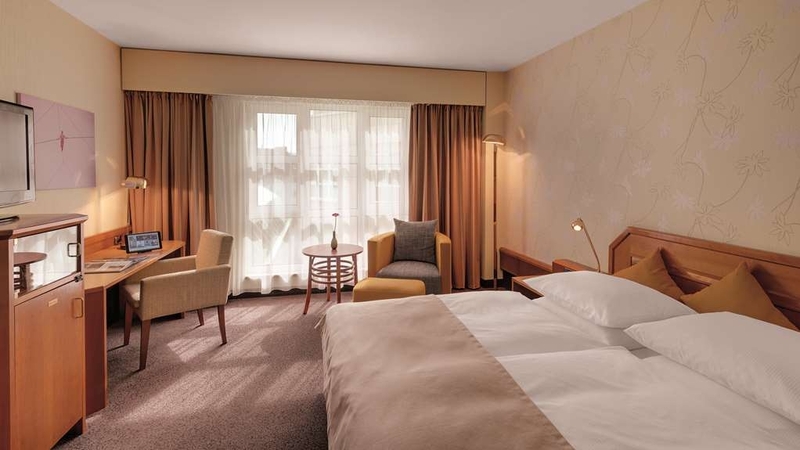 Thank you also found in the names of all employees for the positive comments your BEST WESTERN PLUS Hotel Kassel City. Stayed for 3 nights for business purpose. Location is convenient. Highlights from experience with stay in various places in Germany,wi-fi is unlimited and speed was good and nice breakfast. Rooms are functional and service is quick. "Good hotel location very obliging staff"